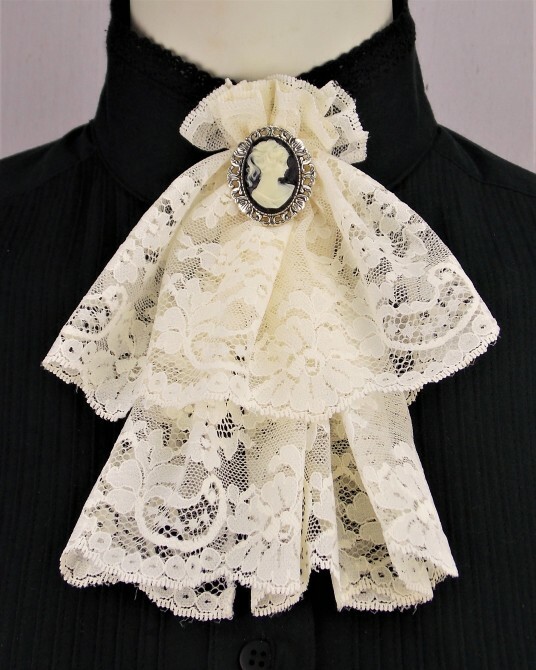 A Classic Black Cameo Brooch with a Silver-tone Setting and Pin-closure Backing Keeps the Jabot Secured in Place. Fashioned from Polyester Lace with Two Tiers of Ruffles. Available in Ivory, White and Black. Dimensions: 7" long x 5½" wide.